We try and keep things a-political here on TGN. You can be a member of the Whig Party or the Know-nothing Party and still be able to sit down and game together. (Personally, my vote is for Pat Paulsen) But in this election year here in the US, there's been several card games that have poked fun at our political process as well as the candidates. Well, this time around one candidate gets his own game. 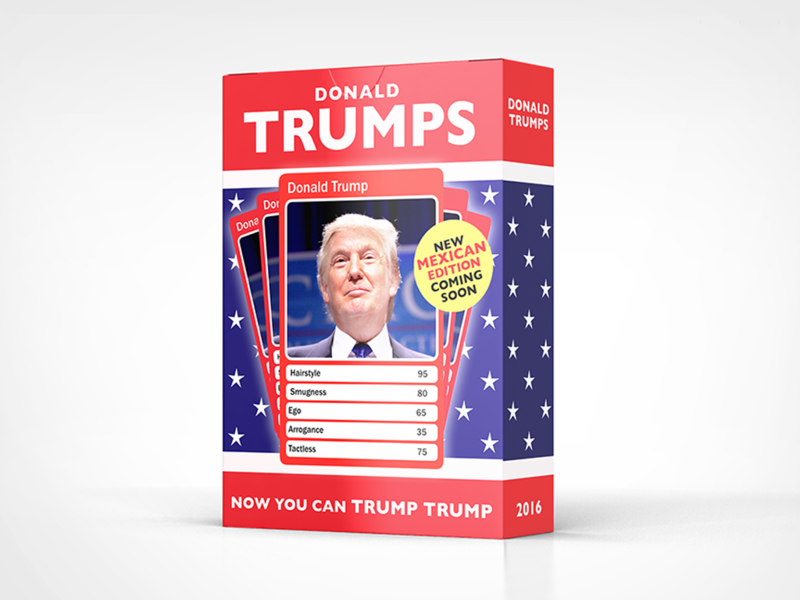 Donald Trumps the card game is up on Kickstarter now. It's a game of "highest total wins" with one of the most unique individuals ever to run for political office. Will ego beat hairstyle? That's all written in the cards. The campaign is up and running now with still 28 days left to go.